I love hot smoked salmon and I recently saw a video showing how to make it and I thought 'How easy was that' and decided I'd buy a smoker. I've checked out the whole trout and mackerel at my local shop and shall be doing those next, but the first trial on this Nordic Smoker was salmon. I'm also quite excited at using it as a cold smoker too. 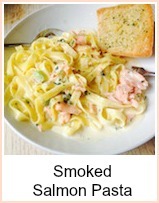 I can make cold smoked salmon and smoked cheeses - smoke bacon, make pastami, I can see a whole new world opening up! Honey or maple syrup - optional. 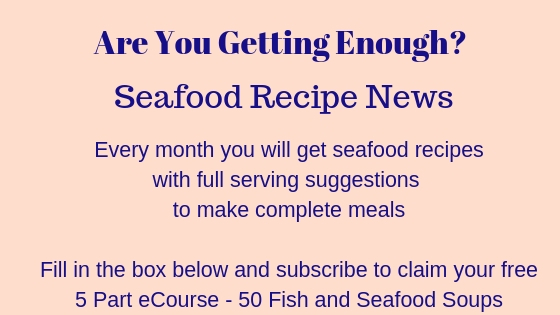 The basic method - mix the first four ingredients and place the salmon in. Cover with film and refrigerate for 8 to 12 hours. Pat dry and leave to 'cure' for 2 hours in a cool place or overnight in the fridge. The idea is to form a 'pellicle' which is the shiny surface that the smoke adheres to. The drying process is essential to the quality of the finished fish. Put the salmon on the rack and place on top - you can brush with honey or maple syrup at this point. Put the lid on the smoker, insert the temperature gauge and turn the heat on. Have the vents open until you see the first steam and then close them. Watch the gauge until it reaches 190 to 200 F. Begin your timing now. Adjust the heat so that the temperature stays constant. I tested mine after 45 minutes - a poke with my finger - I decided I'd like a bit more doneness to it and so left it 1 hour. It was perfect - juicy and bursting with flavour. 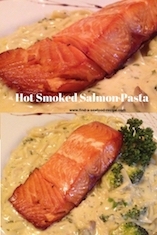 Up to now, I've had it in sandwiches with lemon and pepper and also cream cheese, I've had gorgeous pasta with cream cheese, dill and hot smoked salmon sauce. There's a lot left as it's so flavoursome a little goes a long way. I shall freeze some portions to have later. The juices burn quite badly onto the drip tray. Line with foil before you use it the first time. It took me an age to clean it and it's still not 'perfect'. Line the base with foil too if you like - it will prevent the little bit of burning that I experienced. 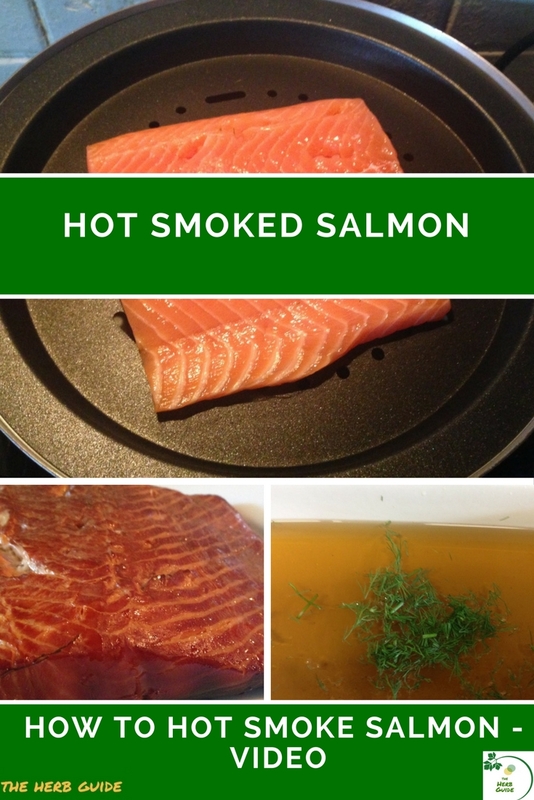 Do follow the drying step and keep the temperature below 200F to prevent the 'bleed' of albumin, which will make your salmon dry - it'll taste okay, but will need serving in sauces. I'm going to try cold smoking in this outdoors. I do have a Weber, but just thought that it's about the same shape. Your house will smell of burning wood - you may or may not like that as a smell. Just be warned. You can burn some incense sticks which will help clear the smoky smells afterwards.